Before we explain how to do multiple time frame analysis for your forex trading, we feel that it’s necessary to point out why you should actually flip through the different time frames. 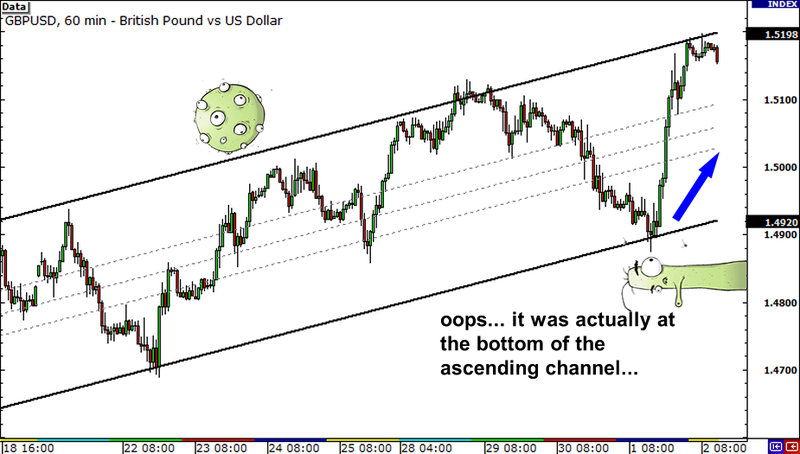 After all, isn’t it hard enough analyzing just one chart as a forex trader? You’ve got a billion indicators on, you’ve gotta read up on economic news, you’ve got basketball practice, a Call of Duty session, a hot date at McDonald’s, etc. Let’s take a look at the 10-minute chart of GBP/USD at 8:00 am GMT. 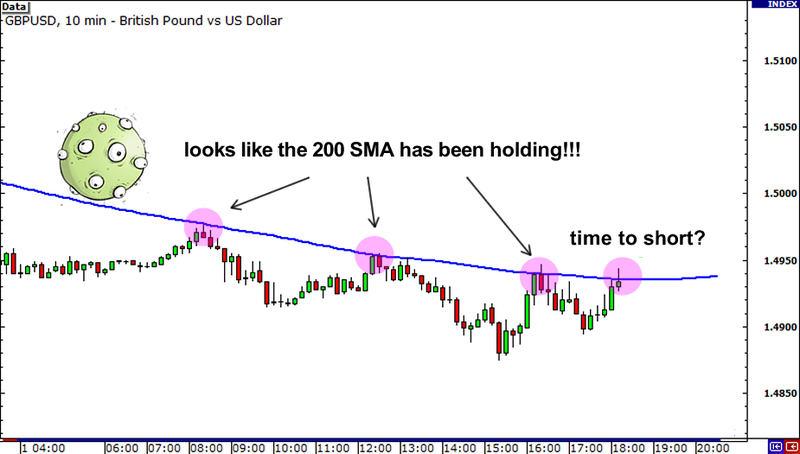 We’ve got the 200 simple moving average (SMA) on, which appears to be holding as resistance. 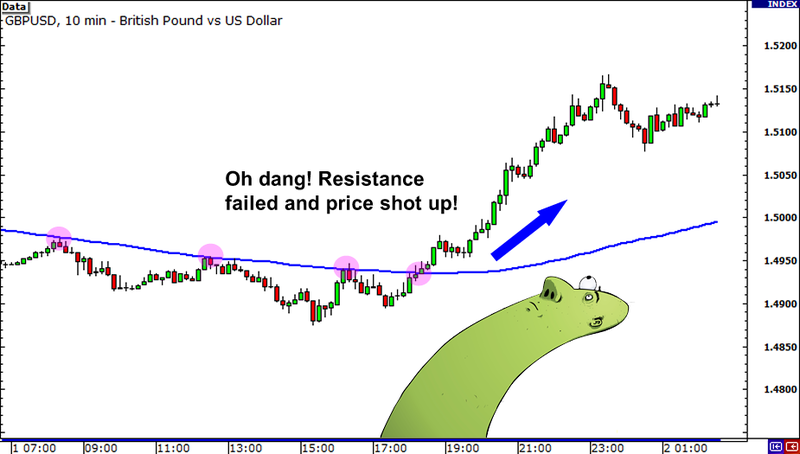 If you had looked at this chart first, would you still have been so quick to go short when you were trading on the 10-minute chart? All of the charts were showing the same price data. They were just different time frames of that same data. 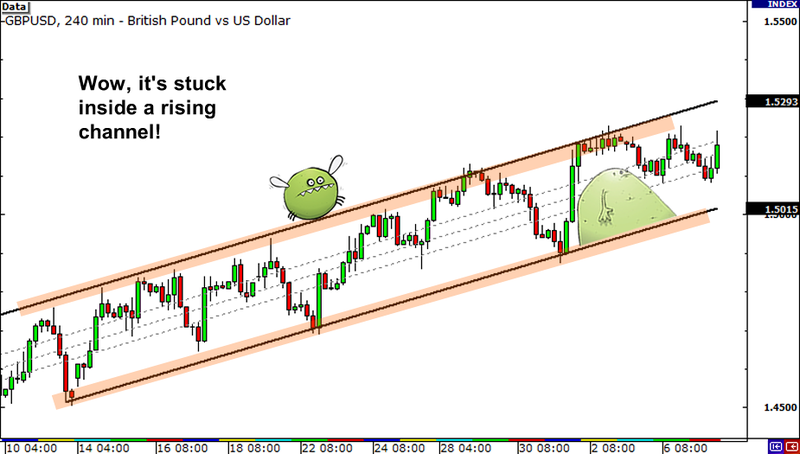 We could never understand why when everything looked good the market would suddenly stall or reverse. It never crossed our minds to take a look at a larger time frame to see what was happening. Trading using multiple time frames has probably kept us out of more losing trades than any other one thing alone. It will allow you to stay in a trade longer because you’re able to identify where you are relative to the BIG PICTURE. Most beginners look at only one time frame. They grab a single time frame, apply their indicators and ignore other time frames. The problem is that a new trend, coming from another time frame, often hurts forex traders who don’t look at the big picture.